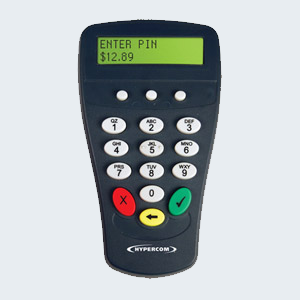 Whether you're looking for a reliable payment terminal, innovative, value-add technology, or a complete electronic transaction management system, Hypercom can deliver. more than a one-stop shop for payment terminals, it's a provider of complete, end-to-end transaction solutions that expand the possibilities at the POS in ways that translate to greater profits. • Meets new PCI-PED security guidelines.